I don't enjoy cooking, it's not something that excites me. Nick doesn't mind it, he's always happy to try cooking new stuff and sometimes we'll cook together at the weekend. Some people just love to be in the kitchen though don't they, they feel all inspired, apparently relaxing them after a long stressful day and all that, NOT ME! 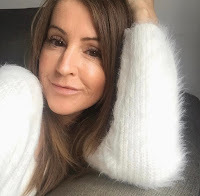 Don't get me wrong, if I put my mind to it, get all the ingredients in advance and plan, then I can, and I do enjoy the end result but I find it all a bit of a phaff! So, when Gousto got in touch to see if we wanted to try one of their recipe boxes*, it was a "Hell yeah!" from me, what with the menu planned and ALL ingredients in the box, you're half way there. Basically, you can choose from 22 delicious recipes every week, Gousto deliver, and YOU cook. They take the planning and trekking out of home cooking and leave you with the fun bit. Our box was delivered on a Sunday (our request) and it was packed with little ice blocks to keep everything cool. Our recipe box contained everything needed to cook two meals for two people. We choose the blackened cod tacos and the chicken rendang. Everything was portioned out and packaged really well, and emptying the box made us excited to get cooking. The cod tacos were first up. 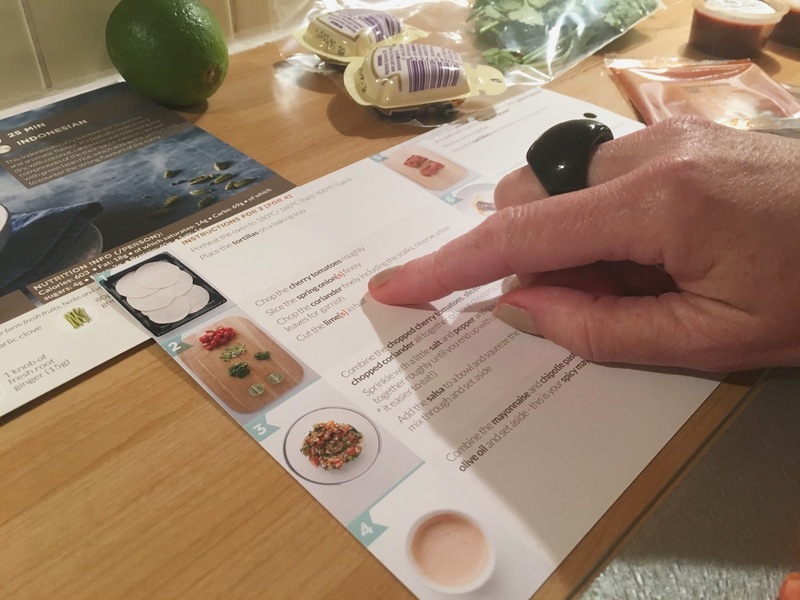 All of the recipe cards are so easy to follow and take you through step by step, even the worst cook in the world can't go wrong here if you follow the instructions and timings to the letter. Super DE-LICIOUS! If you have these be prepared for the everything to ooze out and dribble down to your elbow. A few days later we had our chef hats back on, ingredients all laid out, ready to go. This dish was the favourite of the two and again so easy to pull together. 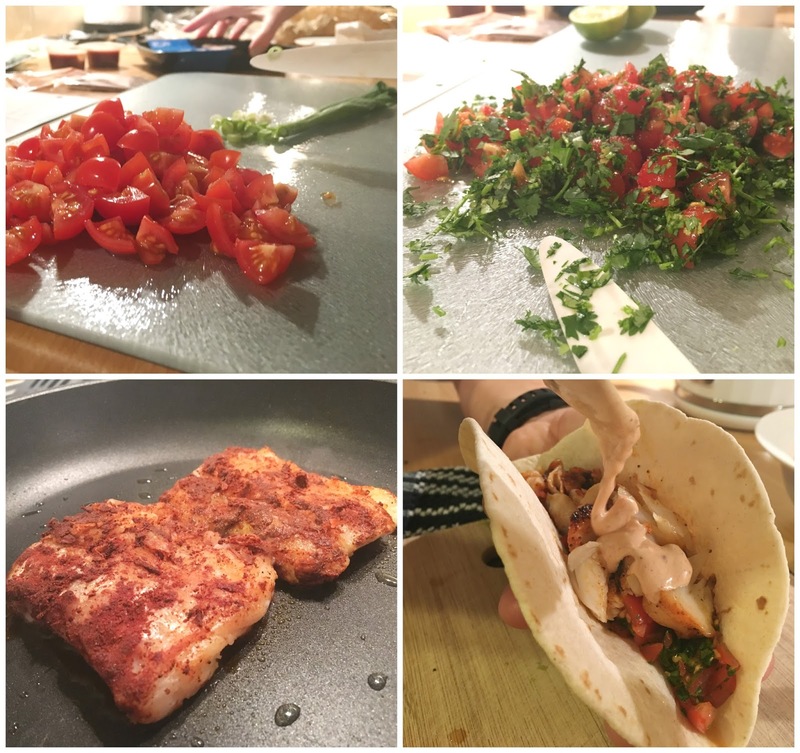 It was fun experimenting with new recipes and gave us the chance to expand our culinary repertoire. Expand? Who am I kidding, our repertoire is virtually non existent!! 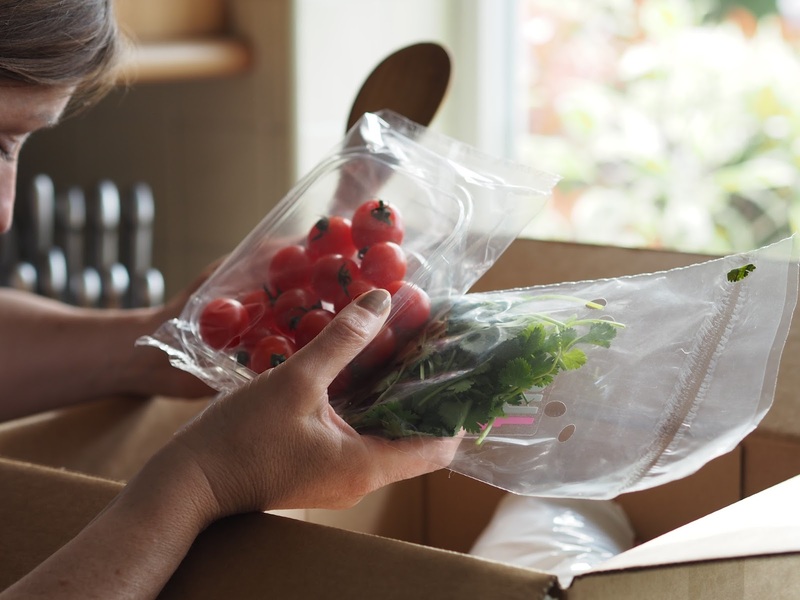 Joking aside, cooking with Gousto offers so much choice, their recipes are healthy and there's no food waste. You do subscribe, but there's no set up fee, and no lock in fee, you can cancel at any time, even after your first box if you decide it's not for you. You can also choose how often you want your box, either with a reoccurring box or just a one off box. You can find all the options and info here in their FAQS. 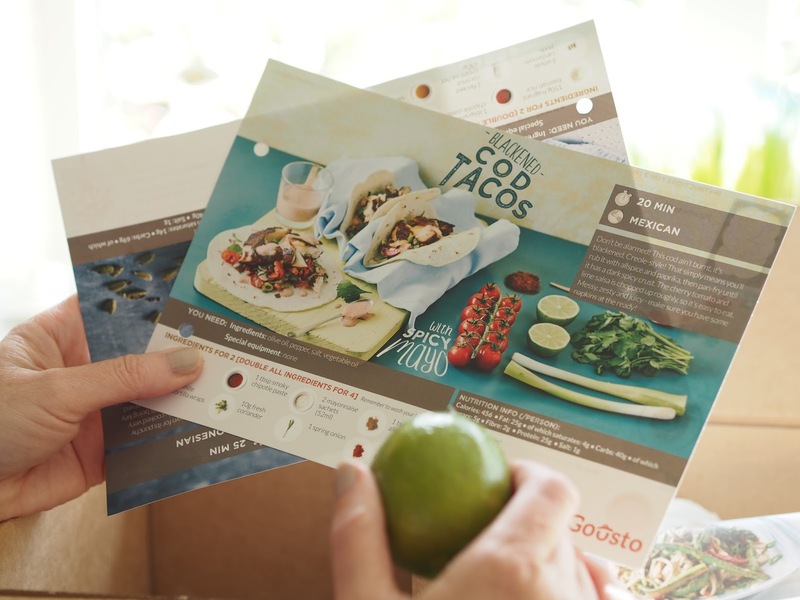 This was our very first recipe box and we were extremely impressed. Would we have it again? Yes we would. However we personally could not afford to have one delivered every week, it would be too costly, but we'd consider ordering some one off boxes as a treat every now and then and once you've cooked the meal you've got your recipe card to use again as it has the ingredients and exact quantities on there. 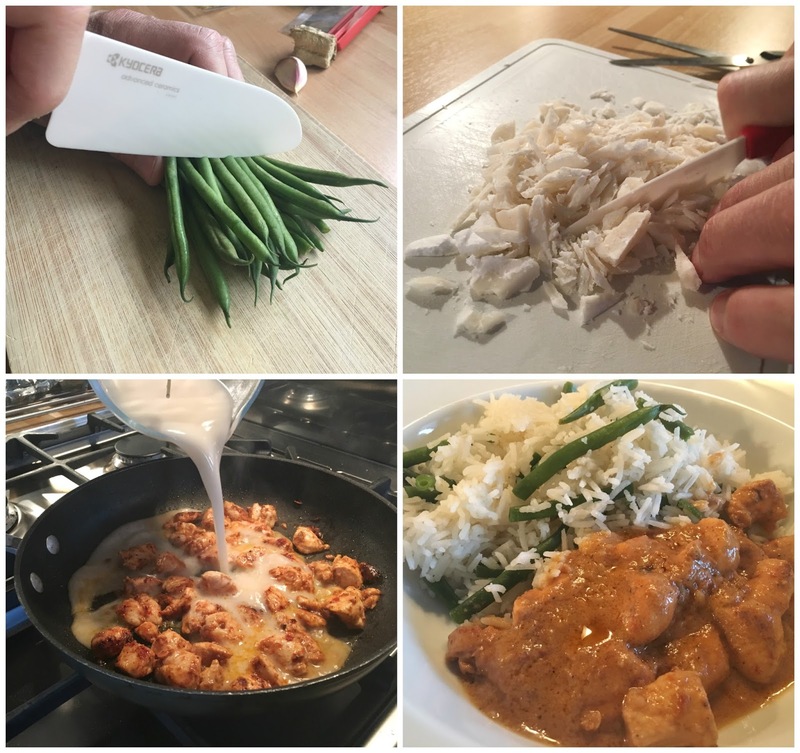 We've already re-created the chicken rendang and it was just as good as the first time. 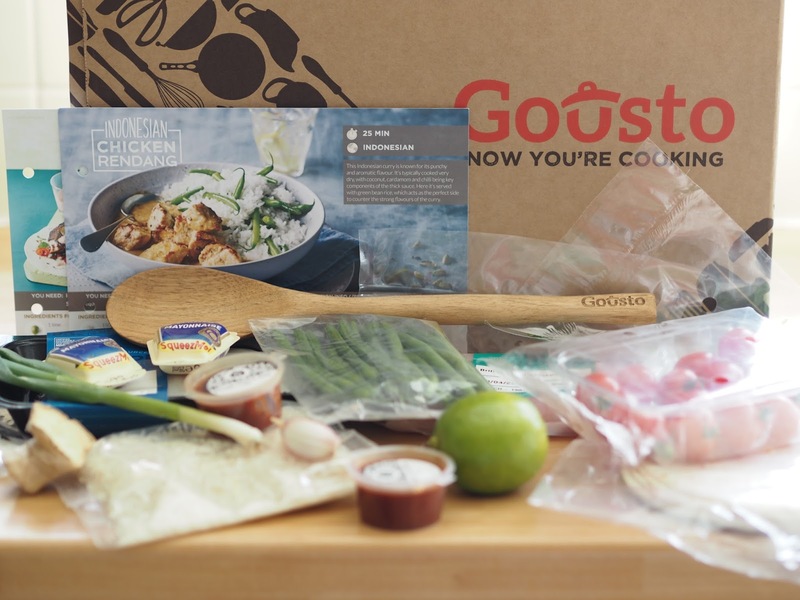 If you're interested in trying Gousto for yourself then I have a great discount code for you. They're being very generous and offering a £20 discount on your first and second box, meaning you could get each box for £7.49 each if you order the two meals for two people option! Just use the code TORNADO at check out. It's too good an offer to refuse, let us know what you choose if you order. Thank you to Gousto* for sending us our little food parcel! 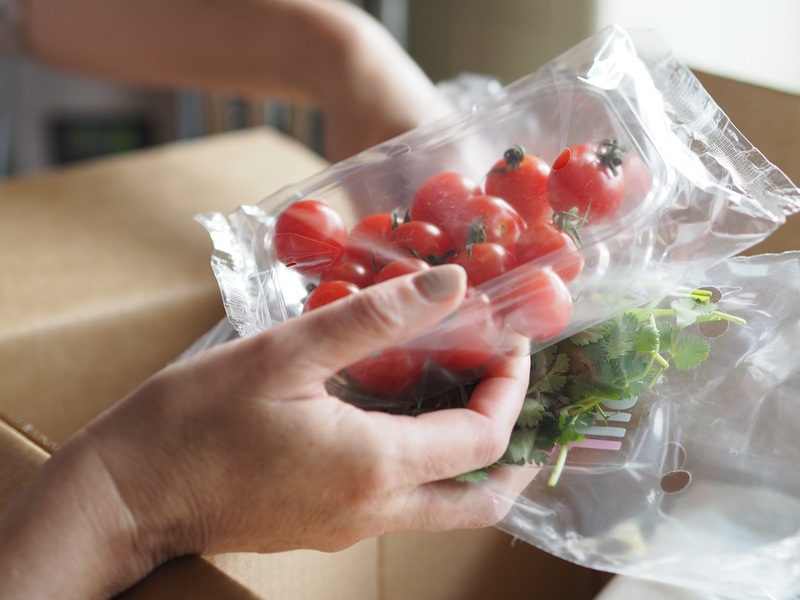 Have you tried any type of food subscription boxes?